The news of an iPhone exploding at a store in Las Vegas has left Apple users fazed. The phone in question is said to be an iPhone 6 Plus awaiting a screen replacement. The store employee was taken completely by surprise when the iPhone exploded and caught fire. ABC News got hold of the video of the incident, it shows the employee seated at a long table with the iPhone placed a little far away on the table. 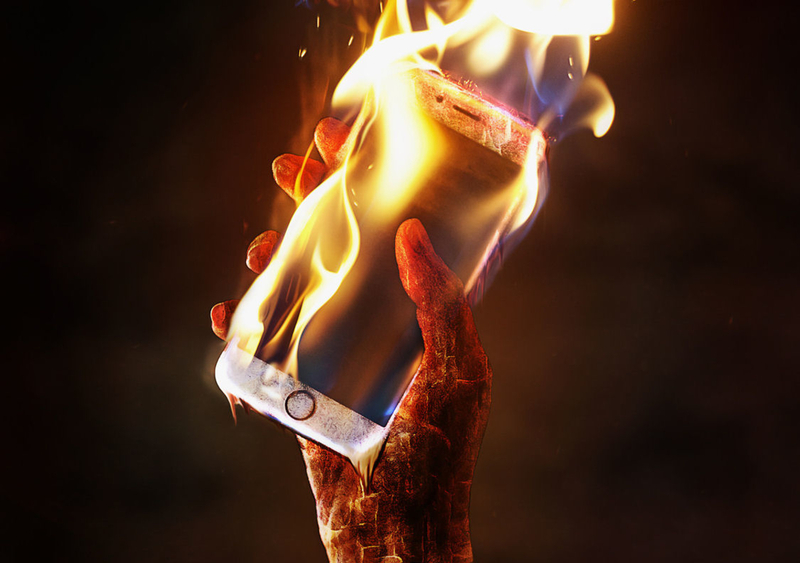 All of a sudden, the iPhone is seen exploding and it instant bursts of flames can be seen. The video is quite terrifying as to how dangerous phones can be, especially with an Apple phone in the picture. As soon as the iPhone explodes, the employee quickly moves away to protect himself. He can later be seen calling for help from his phone. The burst of the iPhone appears to have terrified him, however, the fire didn’t last long, the flames could be seen dying in just few seconds after the blast. According to smartphone experts, the iPhone blast in the Las Vegas store appears to have been caused by heating of the battery. They go on to suggest that, the battery could have been expanding for a long period time while it was seated on the table. The store in question, remains unknown at the moment and there hasn’t been any comments made by any of the employees. Apple has been asked to make a comment on the issue, however, the company chose not to reply instantaneously. We hope Apple at-least does a full study of the iPhone “blast event” and also discloses the result to the public. The biggest question in everyone’s mind is, why was the phone left in a hot place as usually stores are air-conditioned. Could the iPhone have burst for an entirely differently reason and is it something that people should be worried of?